Place all ingredients in a cocktail shaker with 1/2 cup ice. Shake for 60 seconds. Pour into a martini or champagne glass. Garnish with a fortune cookie on the side of the glass. Serve immediately. 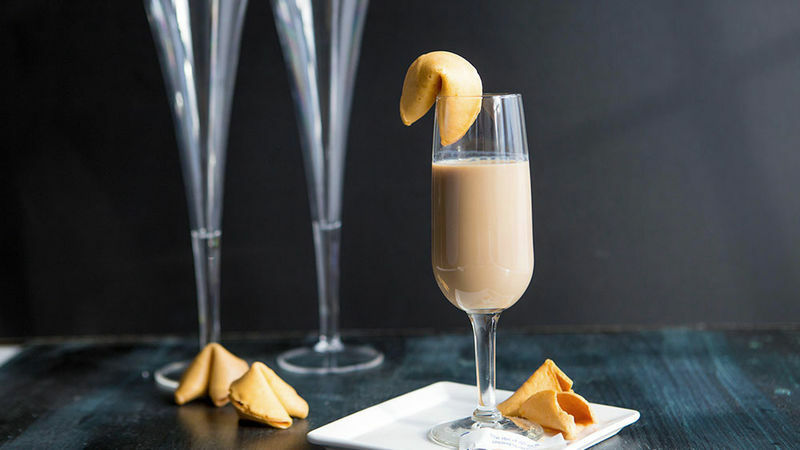 If fortune cookie is closed too tightly to perch on the edge of the cocktail glass, microwave for 10-15 seconds to soften, then gently pull the center apart slightly.